KMG’s Krav Maga System integrates science and experience, instinct based self-defense and fighting techniques with designated techniques, tactics, training methods and drills. KMG offers a strong curriculum that teaches and develops courage, controlled aggression and determination, fighting spirit and combat mindset, situational awareness, as well as avoidance, prevention tactics and verbal deescalation of conflict, whenever the need and the possibility arise. CQB, Armed and Unarmed Hand to Hand Combat – The officer learns how to defeat an opponent quickly and effectively. This involves different elements of a fight: tactics, techniques, combinations, psychology and mentality of a fighter. Use of Knives, Sticks & Guns for attacks are integrated. 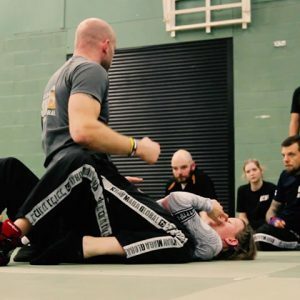 Self-Defense Techniques – Techniques that enable the practitioner to effectively defend himself against both armed and unarmed attackers. The techniques are eventually practiced under stress, in simulations of adverse conditions and environments, such as in the dark, on the ground, indoors and outdoors and in situations that limit the practitioner’s movement. Close Protection and 3rd Party Protection – Defending a 3rd party (a friend, family member, a VIP, a fellow officer or countryman) against all kinds of attacks and threats; dealing with one or more attackers; moving, evacuating and taking care of the other person; functioning under different conditions in different environments and locations. 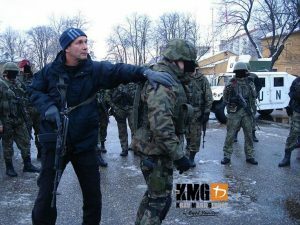 Krav Maga training also has specific curriculum s including tactical adaptations to meet the ever-growing needs of Military Units, Anti-Terrorist Groups, Special Units, Undercover Officers, Close Protection Agents, Correctional Officers, Air Marshalls and much more.